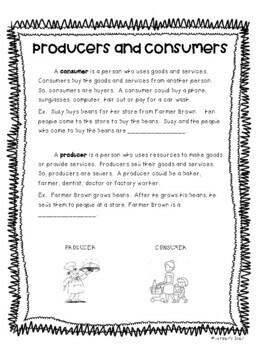 I created these notes on Goods and Serves, Producers and Consumers to reinforce these troublesome topics to my students. I included an interactive portion to write the vocabulary word that is explained, as well as included a picture of each. A great way to introduce or conclude these topics, use during small group learning, a study guide, etc. 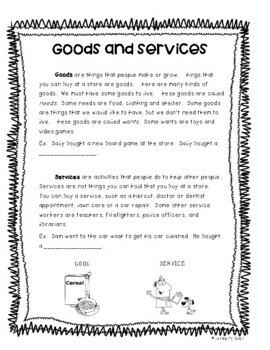 I have multiple resources on economics, as well as the specific topics of goods/services, producers/consumers available in my TPT store! Enjoy!